Where is the best place to hide yo' boottie?? In the only land locked New England state! 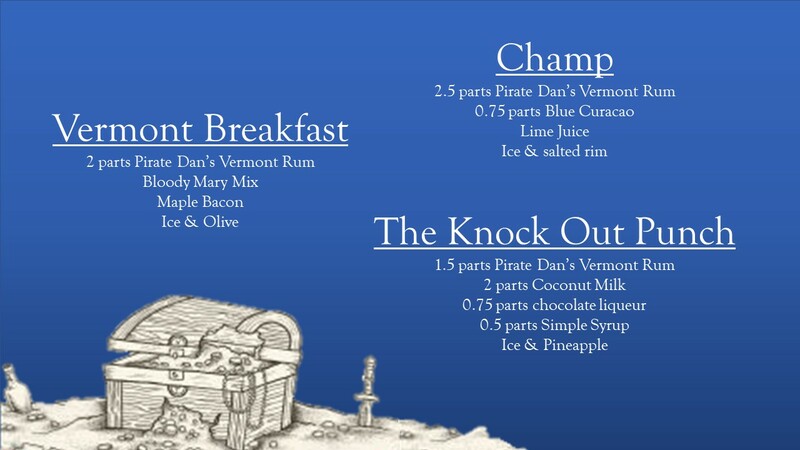 FOund alongside Pirate Dan's vast treasures was his own Vermont Rum. Rich in high quality alcohol, you'll understand why it's so valuable.